Entrepreneurship on the island breathes stronger than ever. After waiting decades, small seeds of change are finally starting to bear fruit and uncertainty has given way to private enterprise. For many Cubans who have dreamed of owning their own business, the time is now. The businesses that have emerged since the initial boom back in 2013 have become solid and strong fixtures; establishing their own identity and market concept along with the undeniable grit that comes along with the Cuban spirit. 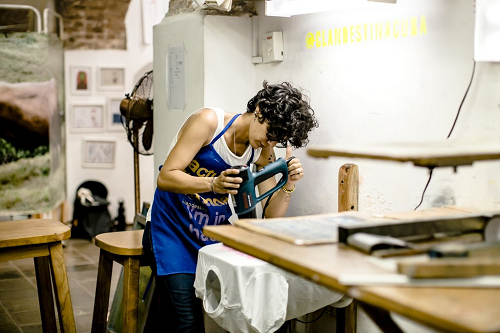 Such is the case with Clandestina, the first urban clothing brand, homegrown on the island. Armed with the slogan “99% Cuban design and 1% sugarcane” they have managed to make a substantial name for themselves since opening a retail shop in 2015. Clandestina began as an idea shared by two women Idania and Leire - one with the dream of being a business owner, the other with a passion for Cuban design. Together they achieved more than either of them could have imagined. Their clothing and accessory products embody Cuban resilience and are popular with tourists who want a physical representation of Cuba’s resolve. At their store, located in the heart of Havana, t-shirts, accessories and artwork are available to purchase; including items with their well-known "Actually I'm in Havana" slogan. 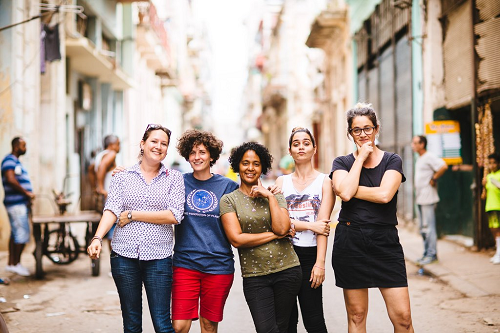 The female led Clandestina team is just another example of the talent in Cuba making the most out of everyday challenges faced on the island. Poor internet connection didn’t stop them from creating a solid e-commerce foundation or amassing a local and international fan base and following on social media. Likewise, material and the latest fabrics aren’t easily sourced throughout the island. 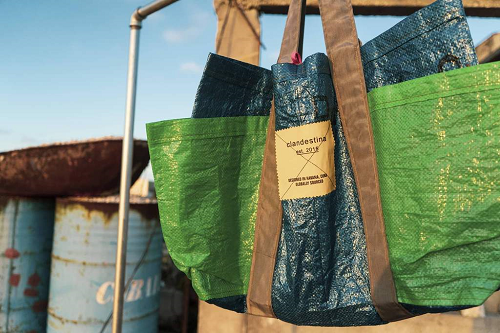 Instead, Clandestina have become experts in the art of “upcycling.” Their Vintrashe line, a combination of vintage and trash, injects new life and soul into nylon and other discarded material. Little by little, they have managed to penetrate the market and are enjoyed by the Obama’s and local Cuban celebrities alike. Make sure to peruse their goods when visiting Havana on any of our group or private tours. We’re sure you’ll be inspired. Take note of their ingenuity, the resilience of the team and, of course, their contemporary clothing with a splash of Cuba’s infectious spirit.